Massive disclaimer. I am no big golf fan. This writer got all riled up when the American crowd disrespected the European players at the Ryder Cup a while back, and also enjoyed Padraig Harrington’s brief flirtation with sporting immortality. However other than that, he can take it or leave it. However, show me a great sporting event, and other than Nascar, where it appears to me advertisement hoardings parade in a circle around a track, I will watch it. If you are reading this, there's a pretty above decent chance you are like that too. March Madness? Nice. Cheltenham? Fantastic. The MLB playoffs, The Champions League, sign me up. Even the recent Cricket World Cup final was pretty interesting. There is no doubt the thrilling climax to the Masters on Sunday night was great television. Unless of course you write for an Irish or English newspaper or online sporting entity. If you had missed the Masters, and chanced upon the headlines and reports that are being churned out this week, you might think a great human tragedy had befallen Rory. We on the Emerald Isle are a funny little nation when it comes to sports. More so than many, we latch onto our sporting heroes with the clinginess of Lindsay Lohan’s paparazzi following. Most often, it is somewhat well founded. The classy Sonya O’Sullivan. The easy calm cool of Padraig Harrington. The clinical, winning nature of Ronan O’Gara, and the gregarious, politically brilliant Brian O’Driscoll. 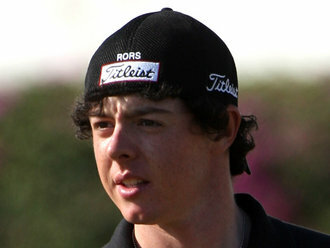 Rory? So far all we really know is, he doesn’t have any respect for the most revered of golfing tournaments, which also means he has very little interest in representing Europe, in which his home nation resides. We also know he likes to take easy pot shots at fallen stars (Step forward Tiger Woods) and that when on the 'Late late show', amongst adoring amateur golfers, he likes to act and look like he would rather be, well, somewhere else. How have people so easily forgotten that incredibly stupid Ryder Cup comment? Need a reminder? "The Ryder Cup is an exhibition at the end of the day. In the big scheme of things it's not that important to me." I am certainly not saying the young golfer shouldn’t be consoled, and helped take a mature step forward after his dramatic one-day slump. What I am saying is, a little perspective is perhaps in order here. Nobody died. A young, rich and somewhat arrogant Irish golfer didn’t win a major golfing tournament. There are probably people out there more worthy of our consolation.